On June 1st, 2012, both major telcos held events in order to launch their Postpaid Plans of their Samsung Galaxy S3 phones – the newest flagship from the recently crowned #1 World’s Handset maker. Smart held their event at the Jump Experience Center in Megamall with quite a decent amount of celebrity representation – one reason why you’ll probably want to see our video for. (Yes, we have a pretty awesome video for you embedded below.) Either way, the Samsung Galaxy S3 is the newest Quad Core large screen demon from the Korean manufacturer and you can grab it from Smart’s Plan 2000 here or at Smart Stores nationwide starting June 2nd. 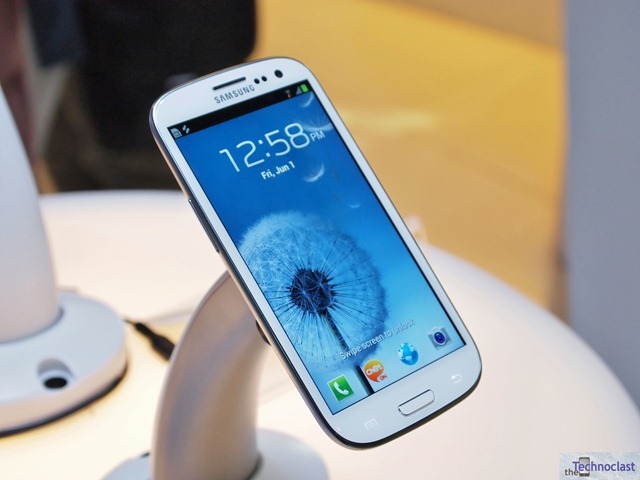 The Samsung Galaxy S3 is the newest and most powerful phone yet from the manufacturer that brought us the highly successful Galaxy S line of phones. The new S offers upgrades that are leaps and bounds over the previous generation, and is poised to take on HTC’s own One X quad-core offering. It has its own Quad-core 1.4Ghz processor based from Samsung’s EXYNOS chipset, a (large) new 4.8” 1280×720 resolution Super AMOLED Screen, 8MP Camera with LED Flash (with 1080p recording), 1.3MP Front camera (with 720p recording), and comes with a custom Android 4.0 ICS build out of the box. Features that Samsung have added with its custom UI include Smart Stay eye tracking (for screen dimming), S-Voice voice-operated assistant, a popout video player (for simultaneously watching video while doing something else), and various other usability improvements. Whether you will put those to good use or not, the Samsung Galaxy S3 is still one of the best phones that you can get this year, or even the next. Smart is offering the Samsung flagship for its Plan 2000 right now – though there doesn’t seem to be any other option right at this point. The first 100 lucky early adopters will be awarded when they get their phones today (June 2nd) will also take home some prizes and free Smart USB sticks – and possibly even a Galaxy Tab or a Galaxy Nexus as well. Not sure that if you’re reading this you can make it to that magic 100, but take consolation in the fact that if you grab a Galaxy S3 right now, you’ll have the most advanced smartphone in the Galaxy Solar System!